Your job isn't real. Money isn't real. It is a game. Business is a game. Your job is a game. More to the point: money is a game. None of it is real. It is a mistake to define your identity, your self-worth in economic terms. You are not your job or career; it is just a game you play. This game of acquiring money should be played like any other game. Just try to have fun, do your best to win, but make sure everyone else you're playing with is also having a good time. Those who see the economic world as reality are those who lose. The true believers end up becoming the truly-exploited by losing sight of what truly matters. Play the game well, but don't take it so seriously. Sometimes a cup of tea with the right person can change your life. A few weeks ago, I met with an acquaintance who I hadn't seen for some time. The conversation became very personal and something I said must have inspired her to recommend a book called The Mastery of Love by Don Miguel Ruiz. Too often, I have ignored recommendations in conversation. Rather, I pretend that it is possible to remember a name or a title at some point of the future (it usually ends up forgotten). Maybe it was the way she spoke of this book that convinced me, but for whatever reason I wrote it down. My friend told me how he writes about self-love, that we can't actually look to others or rely on others to love us or make us happy. The place to look for love is within ourselves. To be honest, I didn't believe this premise. Self-love is not something I had ever given any thought to. But I also recognized that I had become too needy about love and have been constantly in-need of attention coming from others. Not only has this led to ridiculous, addictive behaviors like checking messages every 10 minutes, it has also resulted in my tolerating what has oftentimes been an unhealthy relationship with my partner. The next day, I started researching Don Miguel Ruiz and found out that his most well-known work is called The Four Agreements: A Practical Guide to Personal Freedom. The premise of the work is that we all make "agreements" with ourselves (sometimes referred to as narratives or mental models). Many of these agreements come from "the world". These are beliefs and ways of doing things that have come from thousands of years of history and have been passed down by billions of ancestors. The author uses the concept of "the world's agreements" and "hell" interchangeably, and I tend to agree. In other words, if we accept the world's way of doing things and allow ourselves to be "domesticated" to live in accordance with the ways of the world, we are sure to live a personal hell. It is up to you whether you want to create a life of happiness or misery, and this depends on the agreements you make with yourself. If you tell yourself that you deserve abuse, you will accept abuse from others. If you define your worth through the opinions of others, you will be disappointed and led astray. Indeed, it is the stories we tell ourselves that hold us back from achieving happiness, freedom, success, and love. We can replace those unhealthy agreements with positive ones, and the author takes us through exactly what those positive agreements should be. The Four Agreements changed my life and helped me through a challenging time. So, just over one week later, I decided to read the book my friend originally recommended, Mastery of Love: A Practical Guide to the Art of Relationship. 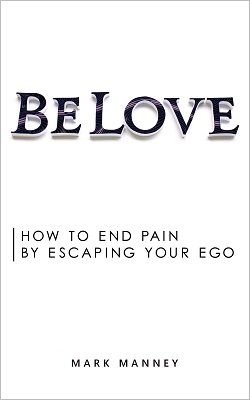 I have come to believe that this is a must-read for anybody in a relationship or anybody who wants to be in a relationship (in other words, everyone). He writes “the real mission you have in life is to make yourself happy, and in order to be happy, you have to look at what you believe, the way you judge yourself, the way you victimize yourself”. When we take on guilt and fail to forgive ourselves, there is the potential that others may abuse us. We allow this abuse only because we tell ourselves that we deserve it. I have done things in the past for which I had not yet forgiven myself. Yet, paradoxically, I have always known that I have done these things not to harm anyone; rather, for the simple reason that I am who I am. I have not always behaved in accordance with the world's rules. I have lived according to my truths, my agreements with myself, my feelings, and my nature. Over the years, I have been convinced to accept the belief that my actions have hurt the person who I love. As a result, I have been unable to forgive myself for this until now and I have allowed myself to be abused because of it. What I realized now is, as the author writes, "I don't need to hear your cursing all the time. It's not that I am better than you; it's because I love beauty. I love to laugh. I love to have fun; I love to love. It's not that I am selfish, I just don't need a big victim near me. It doesn't mean that I don't love you, but I cannot take responsibility for your dream. If you are in a relationship with me, it will be so hard for your Parasite, because I will not react to your garbage at all." This, as the author points out, is not selfishness. It is self-love. This book has changed my life. Before reading Don Miguel Ruiz, I was controlled by fear, driven by guilt, and felt that I deserved garbage in my life for doing nothing other than being who I am. As I have come to forgive myself and accept myself, I am opening myself up to relationships that are built on generosity, freedom, and love. "If you cannot love your partner the way she is, someone else can love her just as she is. Don't waste your time, and don't waste your partner's time. This is respect." Forgiveness of the self, forgiveness of the other, and self-love; this is the path toward happiness and love. The love we crave cannot be expected to come from someone else, it must come from within. With self-love and an attitude of acceptance and forgiveness, we can create the most beautiful, healthy, nurturing relationships based on mutual respect and freedom. Pay attention to recommendations. Read this book.